Rossi Milev sailed his first J/24 Worlds in 2000 in Newport. He didn’t win, but really enjoyed the class and the boat, so like a lot of J/24 sailors, he kept coming back for more. Seventeen years later, he finally sailed to victory at his home yacht club in Port Credit, Ontario. He set his sights on the Worlds, which happened in September of this year. Boats began to collect in the parking lot days before the event with sailors who were eager to get their boats measured in and race-ready. Port Credit Yacht Club was so “on-point” for the World Championship, they were able to get all 63 boats registered and measured one day ahead of time. From a racer’s perspective, this speedy inspection was ideal, as sailors wanted to start focusing on racing and put in some practice time. Given the conditions that happened this year, and keeping in mind that weather is unpredictable, Rossi worked hard to get this regatta to his home yacht club, as he knew they would do a great job running a World Championship for the J/24 Class. Once they won the bid for hosting the event, Rossi set his sights on taking home the trophy. Before the first race came to an end, the fleet knew this was going to be a very tough regatta. Rossi’s team Clear Air came across the finish line not quite where they expected. All the teams found their own challenges during 8 light air races, including current. Rossi stated; “The current here was going east to west, it wasn’t really normal. We usually see [that] more in windier weather.” This unexpected adverse current became an obstacle when coming in on the starboard lay line and at mark roundings. For the Worlds, he said, “Each day our communication got better.” He was very confident in his crew. Although they hadn’t been sailing much together, they were able to pick up where they left off. By the end of the week, they were right where they wanted to be. Rossi was also very familiar with his boat, which had won a previous J/24 Worlds. He claims she has unbelievable speed, especially in light air. Rossi worked with Will Welles when he won the 2014 J/24 Worlds, and he says he learned a lot from his experiences sailing with and against Will about technique and boat setup during their tuning sessions. “I keep my rig just a bit looser than what the tuning guide says. I can feel the boat better, and I feel quicker and have more options and can settle into the groove.” He uses the tuning guide as a tool. He knows he is in a “safe” range, then goes by feel. He has a great feel for the boat and knows when changes need to be made for overall boat speed improvement. Rossi had trained on Lake Ontario in light air ahead of the Pan Am Games a few years ago. He said that contributed to his loose rig setting at this years’ Worlds; in the same conditions, he felt very confident in his settings. Rossi is focusing on work again, but he’d like to sail with other teams in 2018. 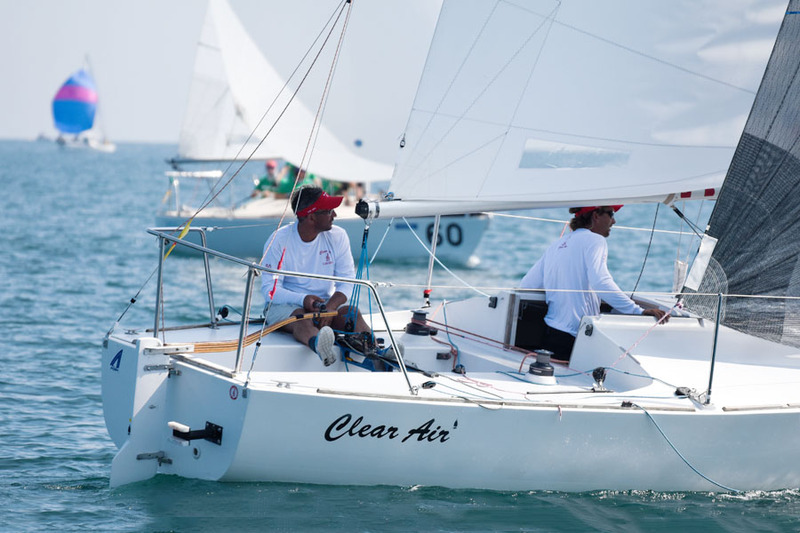 He already has his sights set on the 2019 Worlds in Miami, and the upcoming winter circuit is of interest to him spending time sailing with good friends. For the 2017 Worlds, Rossi’s inventory consisted of North Sails Fat Head Mainsail, DX-7TT Genoa, and FR-2 Spinnaker. Click here for more information on our products, or to speak with your local expert.